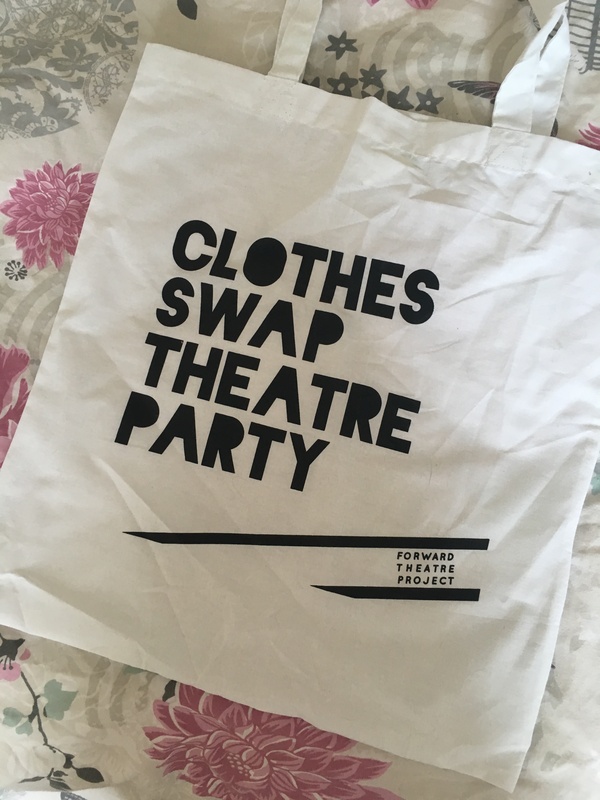 A couple of weeks ago I was invited to a Clothes Swap at the Derby Theatre. I’ve never been to one before, and I was really excited to see what it was all about – especially as I (obviously) love clothes. I had a massive clear out (both of my life and of my wardrobe) at the beginning of the year so I wasn’t expecting to be able to get rid of much but, of course, as soon as I started looking again there was plenty that I hadn’t worn in at least six months. I can be quite brutal when it comes to clearing out – I’m definitely not a hoarder! So, armed with a bag full of old threads, I headed to the Intu centre in Derby to swap it all away. When I arrived at the venue I was greeted with a glass of prosecco by the lovely Karen Queen of Swaps, our hostess for the evening. Karen was, in a word, BRILLIANT. The character was a geordie lass and she was really funny. 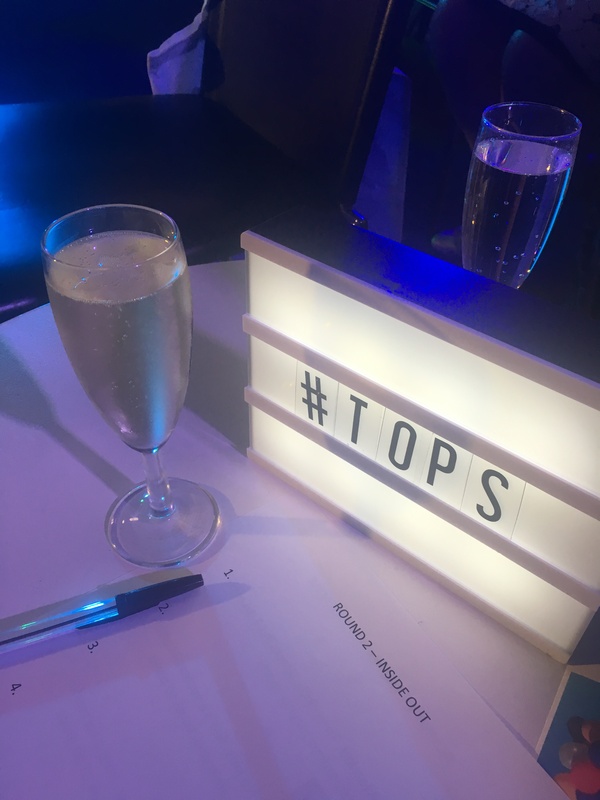 She also hosted a series of games throughout the evening with different theme tunes which were hilarious, each with its own short dance routine. The group were split in to teams, each taking the name of an item of clothing (I was in the tops) while we competed to get a head start on the clothes swapping. Games included Wear or Dare, guessing the profession by what the person was wearing, and a game where we had to guess who had chosen which word to describe what they were wearing. I didn’t know much about the event beforehand but when I got there I learnt that there would be short plays in between all the clothes-swapping action. To be honest, I was a little dubious about this to begin with. I love musical theatre but plays for me can be very hit and miss. These plays were brilliant and I really enjoyed this aspect of the evening. They were about 10-15 minutes long each and they each dealt with a different issue, but were funny throughout as well – racism, divorce and war were all covered but in a very human way and the actors were very talented. The Forward Theatre Project directed these pop-up plays and they all had a clothes theme running through them – what do our clothes say about us? Once the games and plays were finished it was on to the swapping! The problem with these events when you’re so petite like me is that there very often isn’t anyone else there who is as small as you, which was definitely the case here. I came away with a couple of items, but even if I hadn’t have picked up anything, it was a great night and I was pleased to be able to get rid of some clothes! Oh I wish I had heard about that that sounds right up my street! !